Reviews of the Canon EOS 60D from around the web. 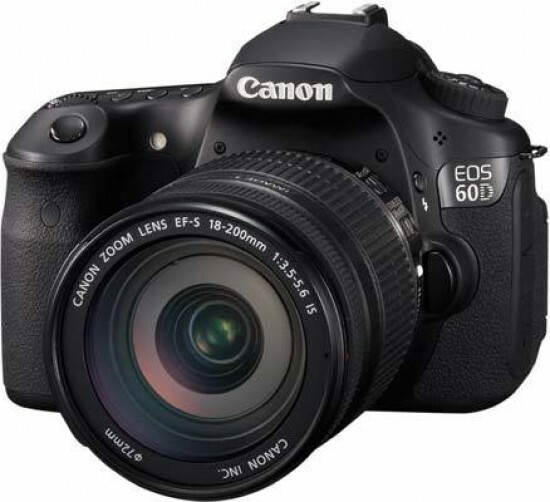 The Canon EOS 60D is a mid-range DSLR featuring 18 Megapixels, HD video and a fully-articulated screen. Announced in August 2010, it's the official replacement for the EOS 50D, but Canon's repositioned the new model from the semi-pro status of its predecessor into a new mid-range category for the company. As such the EOS 60D sits in-between the upper entry-level EOS 550D / T2i and the semi-pro EOS 7D, allowing it to directly compete against Nikon's highly successful mid-range DSLRs like the D90 and D7000. In today's Canon SLR line-up we now have the EOS7D sitting at the top of the APS-C pecking order. In my mind, this means Canon have had to re-jig their range a little, aiming this EOS 60D more at the budding enthusiast, rather than as an APS-C second body. Employing some of the technology and features developed for the pricey EOS 7D, the new EOS 60D is lighter, more compact and more affordable. It fills the gap between that semi-pro camera and the entry-level EOS models, clearly targeting the serious hobbyist. In addition to some new functions, this DSLR is the first in the EOS series with two entirely new features: a fully articulated LCD screen and image modification features in Playback mode.